Onychomycosis, nail fungus, is a tough adversary. It doesn’t go away on its own. In fact, it’s not going to surrender unless you force it to. Practitioners have long sought for a no holds barred way to fight onychomycosis without risking the surrounding tissue or the patient’s health. 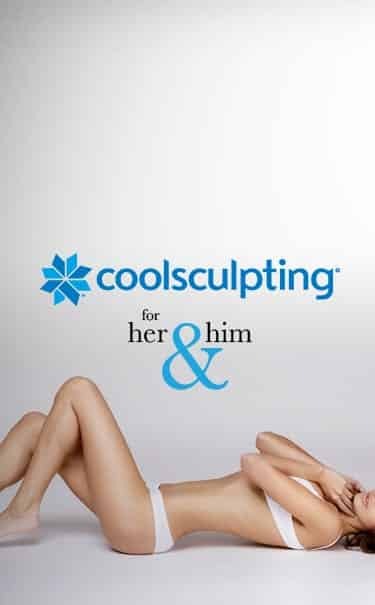 At Larson Medical Aesthetics, we employ the best solution. ClearChoice™ is the long awaited, innovative approach to onychomycosis tinea unguium. The dual-platform technology that is unique to the Alma ClearChoice laser places this device in a class of its own. In my opinion, there isn’t a more efficacious way to increase clear nail Fungus in patients suffering with mild to moderate cases of onyhomycosis. Our result with this laser have been outstanding and have truly exceeded our expectations. 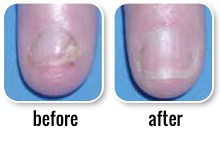 The lasers emit powerful bursts of light that transmit through the nail plate to the nail bed to be absorbed by the pigmented yeasts responsible for the infection. Non-specific heat conduction is then introduced by the Nd:YAG 1064 laser beam where the unwanted organism is thermally deactivated as the target area absorbs the beam of radiation and transfer the thermal energy to the unwanted organism. Against this kind of laser, nail fungus doesn’t stand a chance. Fast and Easy Therapy – pre set protocols make this effective protocol a fast one, too. Most therapy sessions can be performed in a short office visit. Non toxic – The laser isn’t going to hurt your patient or cause long-term side effects. No systemic blood monitoring needed – Because the therapy is light-based and non toxic, you’re not burdened by ongoing blood monitoring or other intensely monitored care. Minimal Discomfort – We know that nothing is more important than our patient’s comfort. If any treatment is intolerable, after all, patients won’t come back. 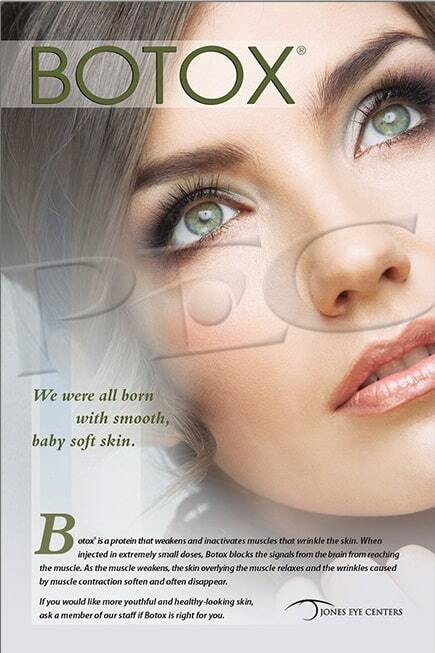 ClearChoice utilizes an In-Motion™ technique that gradually heats up the affected area. If a patient is uncomfortable the operator simply rests for second or two, then continues the therapy when the patient is ready. 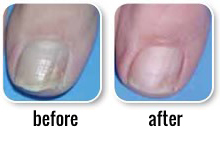 ClearChoice is a virtually painless alternative to painful nail fungus lasers.